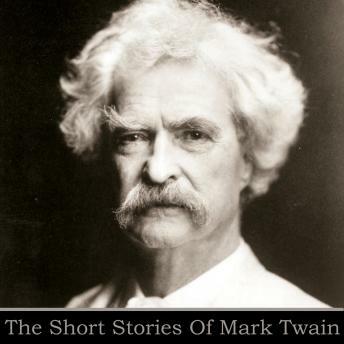 Mark Twain - An Introduction. Samuel Langhorne Clemens was born in 1835 and is far better known by his pen name; Mark Twain. An American author and humorist of the first order he is perhaps most famous for his novels, The Adventures Of Tom Sawyer, written in 1876, and its sequel, The Adventures Of Huckleberry Finn, written in 1885 and often described with that mythic line - "the Great American Novel." Twain grew up in Hannibal, Missouri, which would later provide the backdrop for these great novels. Apprenticed to a printer he also worked as a typesetter but eventually became a master riverboat pilot on the Mississippi River. Later, heading west with his brother, Orion to make his fortune he failed at gold mining and instead turned to journalism and found his true calling as a writer of humorous stories. It on these shorter stories that this volume dwells. His wit and humour sparkle from every page, his craft evident with every phase and punctured target. Twain was born during a visit by Halley's Comet, and predicted that he would "go out with it" as well. He died the day following the comet's subsequent return in 1910. These stories are read for you by Stuart Milligan.